Blessed Trinity is cooking up a storm! 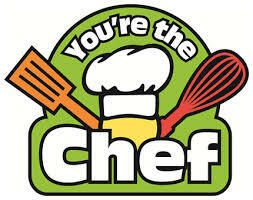 During the next few weeks, 12 Grade 5 students will participate in the “You’re the Chef” after school Program. This Program begins this month, is held once a week, for four consecutive weeks, every Tuesday from 3:30 p.m. to 5:00 p.m. The dates are: January 22, 29, and February 5, and 12. This program is designed to help students develop the skills and confidence necessary to prepare and enjoy healthy meals with an emphasis on The Fruits and Vegetables Food Group of the Canada Food Guide. In this Program, students learn how to prepare healthy and nutritious meals, while learning culinary skills such as: proper chopping and cutting techniques, food safety and food preparation area hygiene. Thank-you to Mr. Porcelli for facilitating the Program, and to our BT staff, Ms. Bevacqua & Ms. Del Nibletto, for their helping hands!